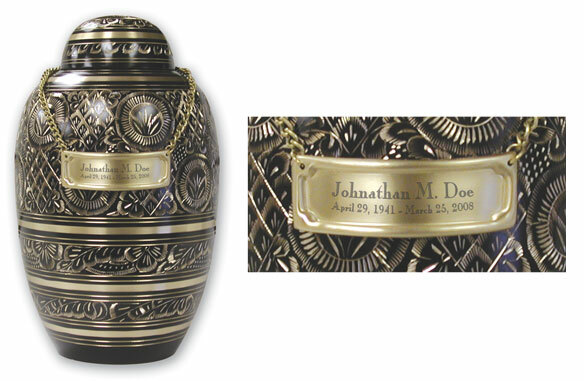 Keepsakes approximately 3" x 1.75" Cowboy - Medium, Artistic Composite, Dimensions: 7.5" x 6" x 6", Volume: 40 cu. in. A charm can be added Cowboy - Large, Artistic Composite, Dimensions: 7.5" x 6" x 6", Volume: 40 cu. in.